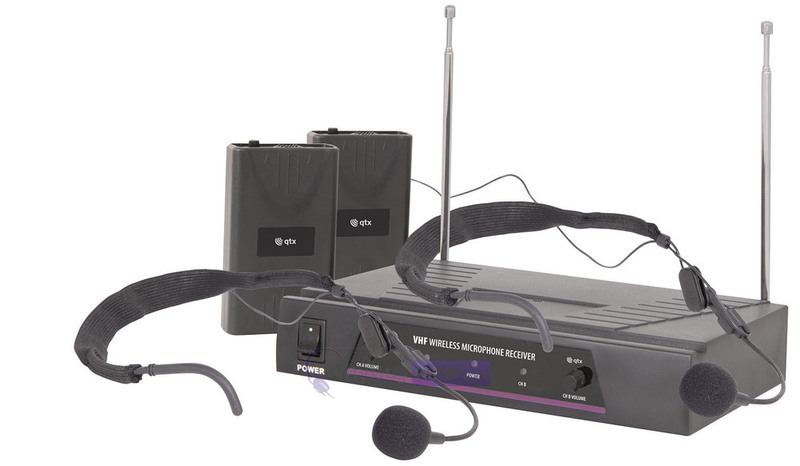 A dual channel VHF wireless microphone system with a half-width 1U receiver, 2 beltpack transmitters and 2 neckband headset microphones. 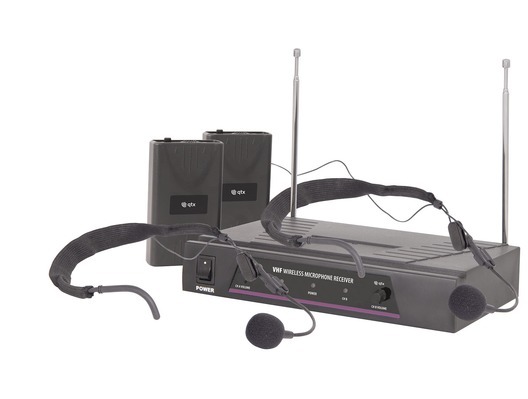 Here we have the QTX VHF Dual Headband Mic System 174.1 + 175.0MHz in new and manufacturer refurbished which will come boxed 'as new' with a 1-year warranty. Buy this amazing mic system with confidence with 100% satisfaction guaranteed or your money back!